Consider common reasons why volunteers don't return — and how to retain the best and brightest for years to come. You've recruited a group of top-notch volunteers with passion, skill and experience in spades. Congratulations! Now, how do you keep them? Statistics tell us that roughly one-third of volunteers drop out of service within a year of signing up. Not only do these individuals decide not to give their time to the same organization, they choose not to give their time at all. Unfortunately, it's safe to assume that, for many of them, the volunteer experience didn't live up to their expectations. Given limited resources, a volunteer force can make or break your operation. Volunteers provide expertise and manpower that would otherwise be enormously costly. But constant turnover can be costly, too, in terms of both the bottom line and morale. To prevent the dreaded volunteer exodus, consider common reasons why volunteers don't return — and some ways to retain the best and brightest for years to come. Their skills and expectations aren't matched to the job. That volunteer with a background in bookkeeping? She expected to do some accounting work but spends two hours after work each week stuffing envelopes and making cold calls. That marketing copywriter? He wanted to brainstorm ideas for a social media campaign but is working the name tag table ... again. Neither feels fulfilled. They don't feel appreciated. The simplest things are easy to forget, and this is a big one. People want and need to be thanked. No one, no matter how selfless and generous, is above needing a pat on the back. They feel disconnected from the mission. Seeing the impact of the organization firsthand is incredibly rewarding. 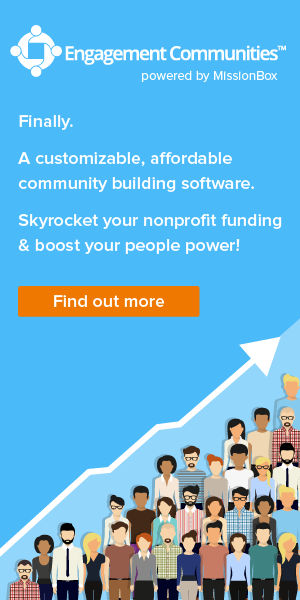 It's why so many people spend their lives in the nonprofit world to begin with, and it's what volunteers often aspire to do — but it can be elusive if contact with clients is limited. They feel isolated from the staff members. Volunteers are likely to feel left out or unwelcome if staff don't understand who the volunteers are or why they're there. They don't get the proper training. The planning that you put into orientating and training your volunteers can be a deciding factor in their success. The whole experience is chaotic. Scheduling mix-ups, miscommunication, wasted time and a lack of supervision — sound familiar? We've all been there. While on a mission to change the world, many nonprofits make the mistake of letting important details go by the wayside. However, if volunteers feel adrift and unsupported, they'll likely go and change the world somewhere else or return to their own busy lives. Thankfully, there are tried-and-true best practices to help you avoid the above scenarios. Match volunteer skills and expectations to the task. Explain what the job entails and describe why it's important to the organization. This might be especially important for seemingly mundane, yet critical, administrative tasks. A volunteer who feels truly needed — and that his or her absence would be felt — is much more likely to stay. Help them grow professionally. Give volunteers the opportunity to build their resumes by treating the position as seriously as you would a full-time job. Offer them things like professional development, team bonding experiences, titles and performance reviews. Communicate, communicate, communicate. Outline policies and service descriptions clearly in orientation and training meetings and follow up with the same information via email. Then, regularly repeat goals and procedures to make sure expectations are understood by all parties. To help volunteers feel part of the team, keep them in the loop. Email updates about the organization and reminders about upcoming events and initiatives. Keep the correspondence organized and efficient. Encourage questions and feedback. Offer recognition. Single out the volunteers who are doing great work with clients, exceeding their goals, and bringing in people from the community to help. Award ceremonies, social media and email newsletters are great ways to showcase exceptional volunteers and motivate others in the group to do more. A short note from a staff member or client can be enormously uplifting. No volunteer wants to see precious resources allocated to thanking them, but a little goes a long way. 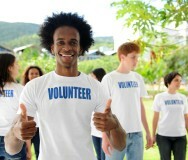 Make volunteer engagement a top priority. Train your staff on how to work with volunteers. Challenge staff to come up with new ways to make the volunteer experience unique and rewarding, and make sure they're prepared to handle complaints when they arise. 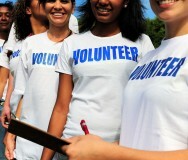 Brainstorming improvements for the volunteer program should be the job of everyone, not just the volunteer coordinator. Show volunteers how their work is making a difference. This goes back to feeling connected to the mission, which is vital for volunteer satisfaction. Bring in clients who can talk about what the services meant to them. 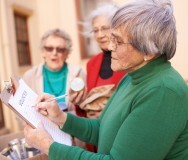 Measure the impact of the volunteer program and report those numbers to the group. Show them exactly how their hard work is paying off. Make the workspace inviting. Some of you will read this last one and say, "There's no time to redecorate the office! We have much bigger fish to fry." Fair enough. However, don't underestimate the effect of a cluttered, dingy and depressing work environment. Donating unused items and organizing the space can profoundly affect the attitudes of the people who spend their time there. If you invest time and energy into making volunteers feel invaluable, they're likely to make a long-term investment in you.